I’ve been aware of the Pi1541 disk drive or Pi1541 ‘hats’ for several months now. 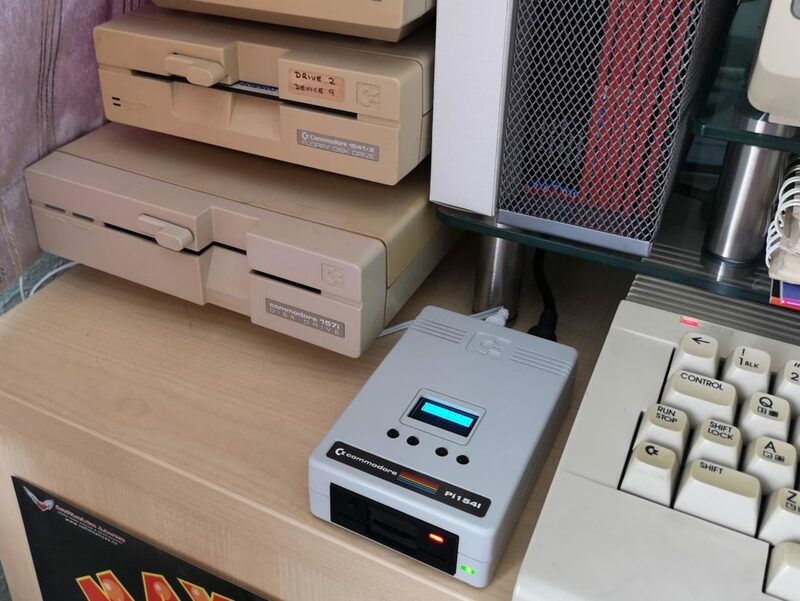 This project was undertaken to create a ‘cycle exact’ emulation of a Commodore 1541 floppy drive using a cheap Raspberry Pi computer. 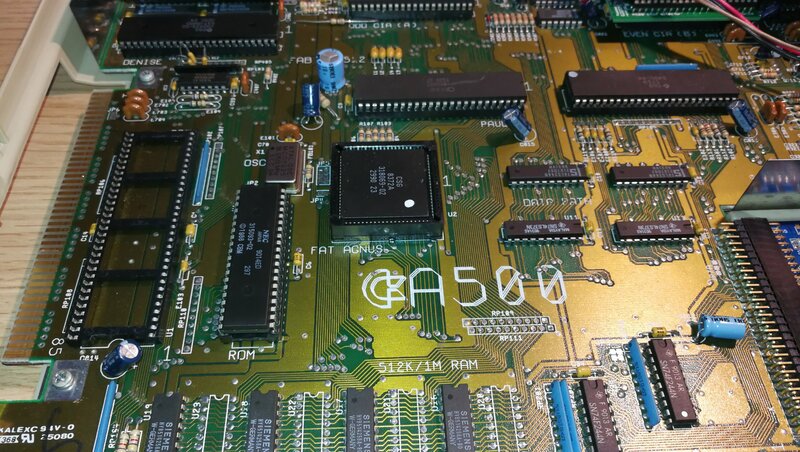 The idea behind it is that by fully emulating the 6502 CPU and 6522 VIA chips you would have a 100% 1541 compatible ‘disk drive’ capable of reading any disk image, even ones with custom fast loaders and exotic copy protection schemes. By contrast the ubiquitous SD2IEC devices don’t emulate either chips but rather simulate some disk protocols and use some clever code to try to blag some fast loaders into working. This is why special versions of some games need to be created to work on SD2IEC devices. In a nutshell a Pi1541 Disk Drive utilises a Raspberry Pi B computer running custom software along with a daughter board or ‘hat’ which sits on top and connects to the GPIPO pins of the Pi. This ‘hat’ adds the standard IEC connectors and handles the stuff that is required for the Pi to successfully communicate with the attached Commodore computer. 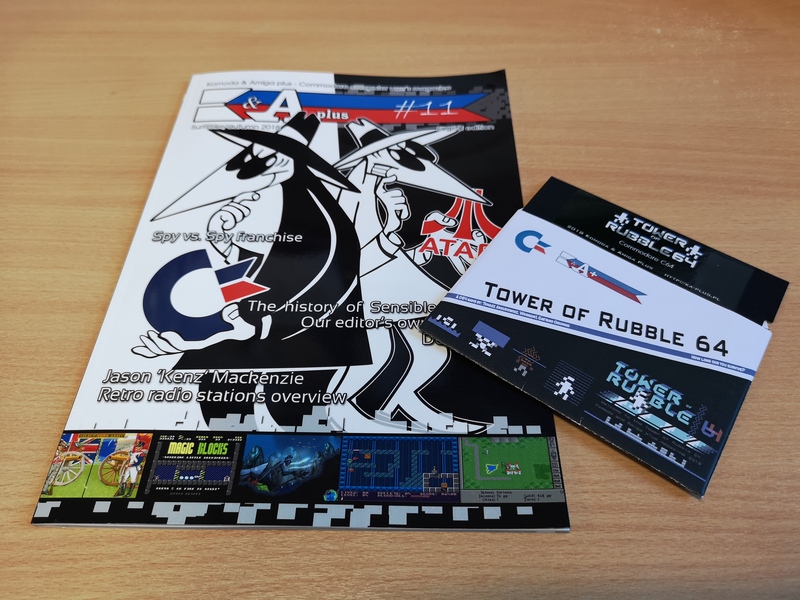 The project was created by a guy called Steve White and if you want to know the technical ins and outs then check out his website here. As I mentioned earlier I’ve been aware of this project for some time, but for the reasons I mentioned above it just didn’t appeal to me. 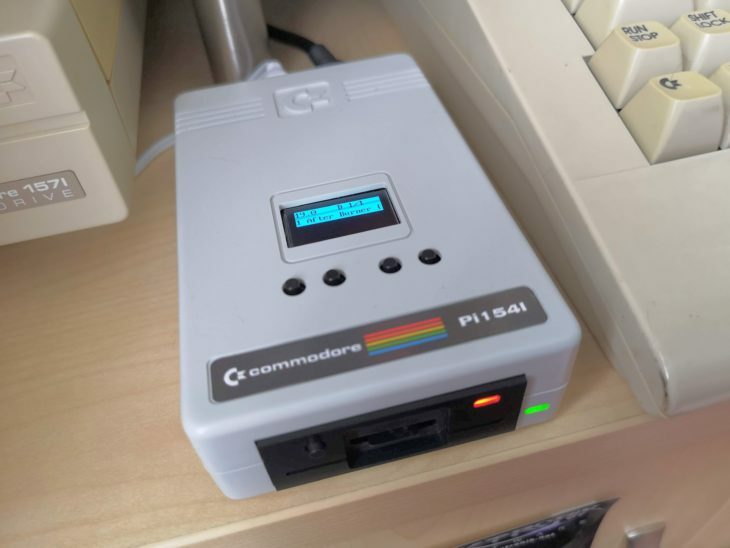 Until that is, I saw that Tim Harris who runs sharewareplus was offering a super slick, plug and play, cased Pi1541 Disk Drive complete with OLED screen. I just had to have one and after several months of waiting it has finally arrived! This really is a thing of beauty, modelled closely on the first generation Commodore 1541 floppy drive. There’s so many little design cues taken from the original case. The Micro SD card slot encased in black plastic housing complete with scaled disk ‘slot’. The red drive activity LED and green power LED. A chicken logo moulded into the casing top. The Commodore label complete with rainbow colours and a 1541 logo where the trailing 1 is actually a letter I. It even has a built in speaker to emulate the drive sounds of the original drive! It came supplied with a Micro USB cable (to power it) and a single instruction sheet explaining what the ports are for and what the buttons do. Disappointingly it did not include a Micro SD card, IEC cable or even further instructions. The casing is approximately 5″ (13cm) deep, 3″ (7.5cm) wide and 1.25″ (3cm) tall. On the front there is a MicroSD card slot, a green power LED, a red drive activity LED and a ‘Select/Start’ switch. On the rear there is a power on/off switch, Micro USB power socket and a standard CBM IEC drive connector socket. On the top of the device is a lovely 1″ x 0.5″ (128×64 resolution) blue OLED screen along with four navigation buttons. When the device is first turned on it operates in SD2IEC mode which allows you to browse through the contents of your Micro SD card and select an image (or multiple images) to use. In this mode all 4 top buttons have a function: ‘move up’, ‘move down’, ‘exit folder’ and ‘add disk’ (for multi-disk games). In this mode the button on the front acts as a ‘select’ button. Once an image has been selected on the device and a ‘load “*”,8,1’ (or similar drive command) is issued from the computer, it switches to full 1541 emulation mode. 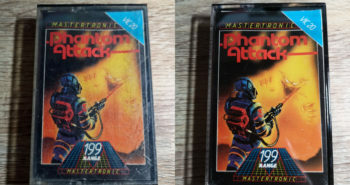 In this mode only the first 2 buttons on the top have a function: ‘previous disk’ and ‘next disk’. In this mode the front button acts as ‘start’. 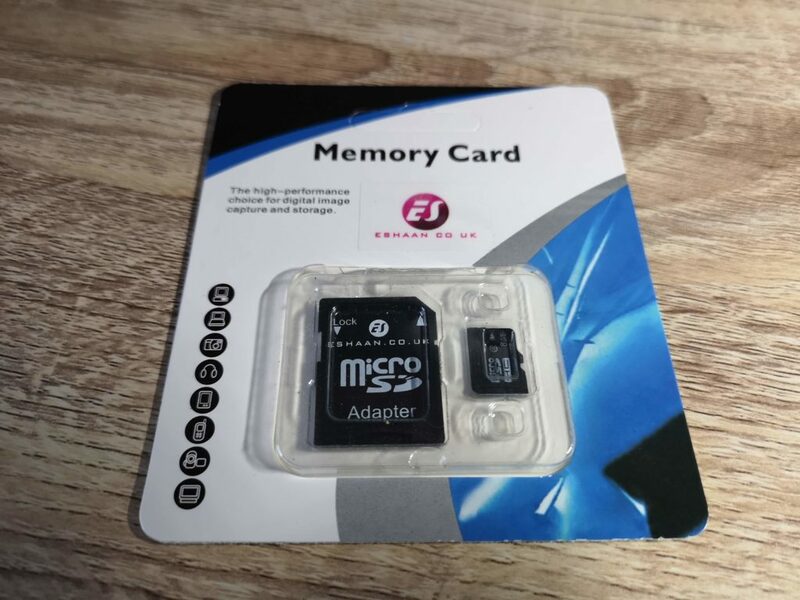 I was advised that this Pi1541 Disk Drive worked best if you use an 8GB Micro SD card so I just picked up this generic card off Amazon and it has worked perfectly. Unfortunately I did not fare so well with the Micro USB power supply. The device came with a Micro USB A-B cable so I plugged it into a free port on my power strip extension lead. The drive powered up and appeared to work fine until I tried to actually load a directory listing or a program and then it would just lock up and my C64 would freeze. Thinking the device was faulty, I got in touch with the guy selling it and was advised this was likely a power issue. The Pi needs a beefy PSU, especially when it’s also powering an additional board plus OLED screen. Long story short I tried several USB chargers from phones and such like but none of them fixed the problem. In the end I ordered an official Raspberry Pi PSU off Amazon and the problem just went away. Moral of the story? Don’t be a cheapskate and buy a decent power supply for it! Once I’d properly sorted out the Micro SD card and PSU the Pi1541 Disk Drive worked perfectly. It loaded everything I threw at it including .G64 disk images that that won’t work on my SD2IEC device (but do work on my 1541 Ultimate II+). I also tried it with turbo load cartridges such as the Epyx Fastload and Action Replay VI’s Fastload. It worked perfectly and as you would expect loading times were significantly reduced using either cart. It is claimed to be 100% compatible with Jiffy DOS too but at the moment I don’t have the hardware to put that to the test. There are a few other benefits that the Pi1541 Disk Drive has over it’s rivals. It doesn’t hijack the cassette port or user port for power like an SD2IEC device would as it’s powered independently from the host computer. Nor does it occupy the cartridge slot like a 1541 Ultimate does. It also works with my VIC20, something even the mighty 1541 Ultimate cannot do. 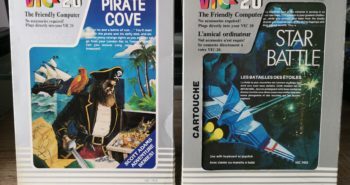 I believe it will also work with both the Commodore 16 and plus 4 but I own neither of these machines so cannot confirm this. There are a few niggles, the first being that the Micro SD card doesn’t have the ‘push to eject’ feature. When you want to remove it there is only 2mm of card protruding to grip onto and I found it difficult to pull out without using some needle-nose pliers. My other gripe is that it didn’t come with an IEC cable, memory card or PSU. For a device costing £150 I would have expected these to be included and it would have saved me messing around trying to get a working power supply. The sound produced is a little disappointing too. More a series of beep’s than a true emulation of drive noises (sounds a bit like what you get with a Gotek that’s had a sound mod fitted). My 1541 Ultimate II+ does a much better job of reproducing drive sounds. 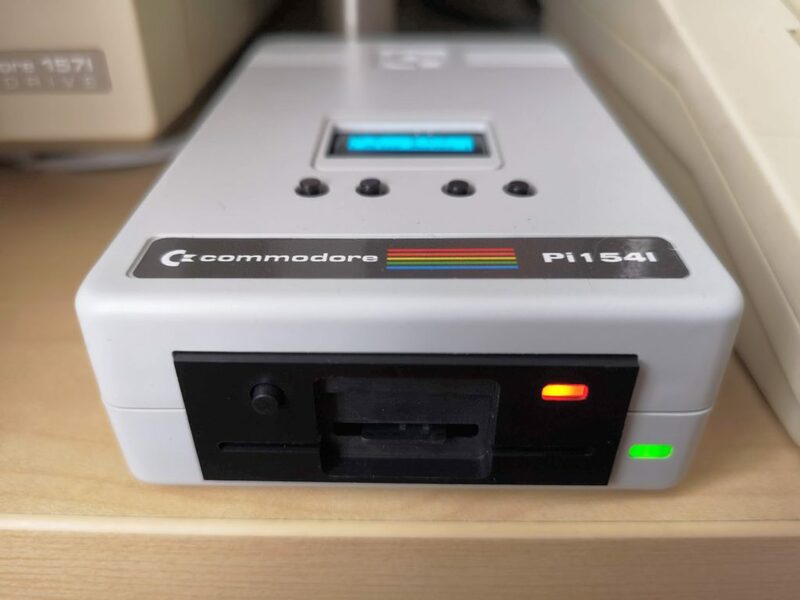 This is a terrific product and probably the best and most accurate emulation of the Commodore 1541 drive there has been to date. 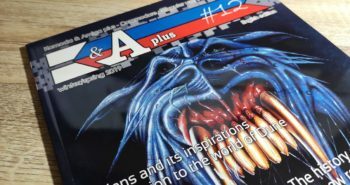 It also looks the part and will work across almost the entire range of 8-bit Commodore machines. It’s definitely a luxury peripheral in my eyes though rather than an essential purchase. In this particular form it cannot compete on price with either the SD2IEC or the 1541 Ultimate II+ cartridge (which has many more features). 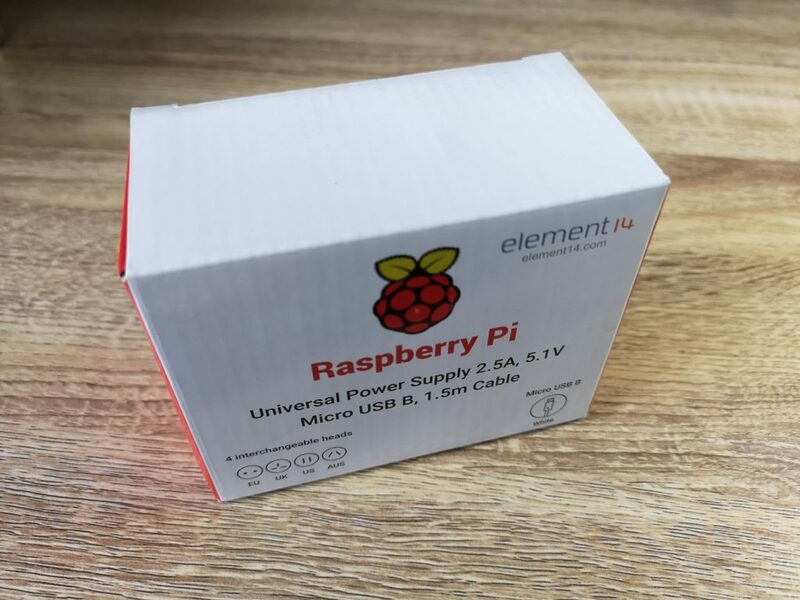 However if you were to choose one of the more modest Pi1541’s you can find on eBay then it trounces the Ultimate on price and beats the SD2IEC on compatibility for a similar cost. Another thing to bear in mind is that although, strictly speaking, SD2IEC devices are nowhere near as compatible as the Pi1541, they ARE ubiquitous. 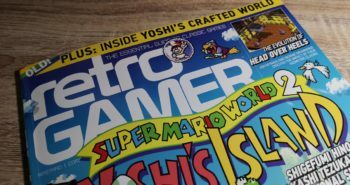 Because of this most games have been tweaked to make them work within the confines of the system out of necessity, so in most cases compatibility is often a moot point. Bottom line is this; if you want the most compatible and by far the best looking modern 1541 Drive implementation there is and you don’t mind paying a premium for it, then you won’t find a better product than this.